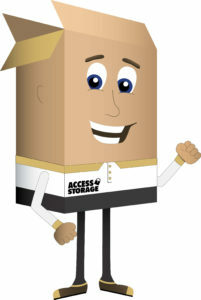 For more information about our self storage solutions, feel free to contact the storage facility nearest you. We currently have storage facilities in Jasper, Huntingburg, Ferdinand, Dale, Corydon and Newburgh. Or, if you’re ready to request a storage unit now, simply fill out our Quick Storage Reservation Form to get started. As a means to help bring about positive impact in the southern Indiana communities we serve, Access Storage Now has partnered with the American Red Cross to help those who are victims of natural disasters, such as fires or storms, get the space they need during times of duress. If you have been affected by such a natural disaster and are in need of support, please contact the American Red Cross to receive your storage voucher, which you can present at any Access Storage Now location near you to receive the discount.